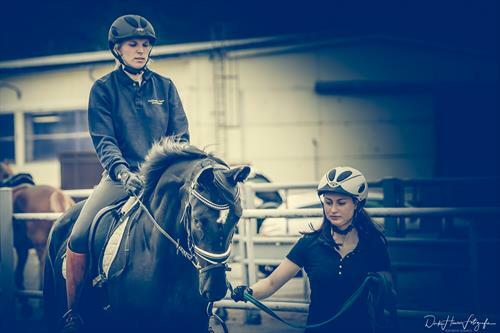 We are a big stables with a nice team of riders and grooms from different countries all over the World. We are looking for an experienced groom, doing all daily duties for the horses. Cleaning stables, feeding, tacking horses for riding, take horses to the walker, in the grass or on paddock, lunging and doing all what needed that the horses are cared for on a high level. You have to handle and work with young horses ! Yard supervisors will provide guidance and training when needed to ensure the correct handling and management of the horses. 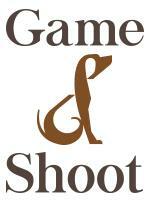 With the aim of producing the best quality of work from both horse and groom. We offer the opportunity to advance and later work in our international competition stables if you wish! Saturday afternoon and Sunday: Free, but weekend service every 4-5 weeks	You will start with 1792€ ( minus Tax) / 45 hours a week. Experience with young horses/ stallions. Accommodation and food ( breakfast and lunch) will be provided on the yard. You will work in a nice team. Working for Paul Schockemöhle, Gestüt Lewitz was a great experience. I went to Germany from beginning of June to the end of August and had a memorable time. I came away learning many new techniques for breaking and training young horses. The other staff working there are from all over the world and everyone gets on with each other. I have made great friends who I remain in contact with since I have come to home to continue with college. 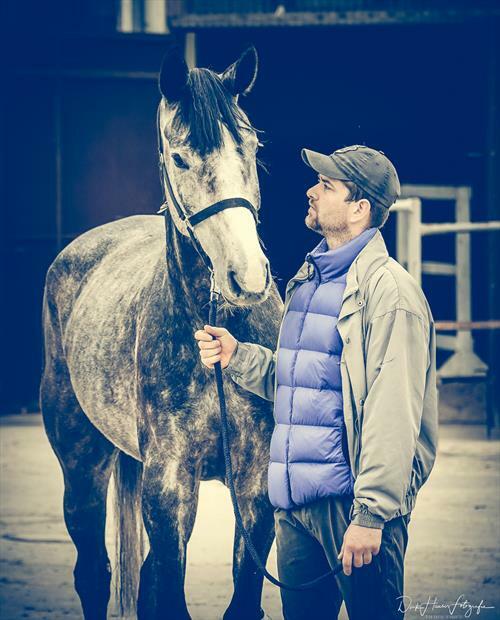 I got the chance to receive training from Thomas Mohr on the horses, present horses for trainers and clients. It was rewarding work when you received feedback that everything ran well. Overall this was an excellent experience and I would be more than happy to go back again if there was a position available. The best place I've worked so far. Good people, top horses & trainers. The experience gained in working on this yard, in my 22 months is equivalent of at least 8 years worth of experience (in my opinion!). 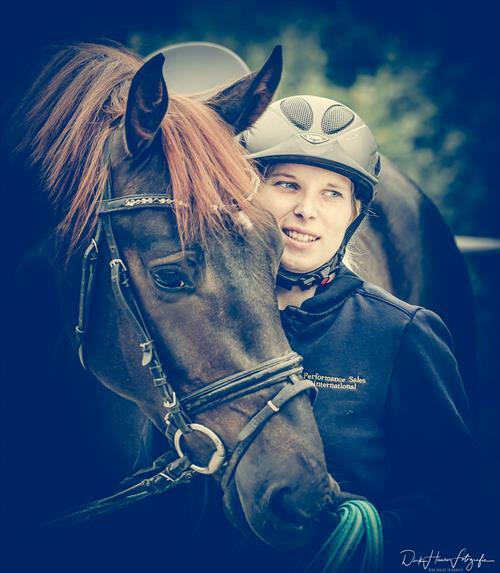 You will be privileged to have seen, to ride, and to take care of young future sport horses. Many, many will go under your care and some will touch your hearts and linger in your memories. Honestly, it is all hard work but it is so worth it when you see young horse develop under your care. The trainers are straight forward, very communicative and the fellow grooms and riders all come from all parts of the world. 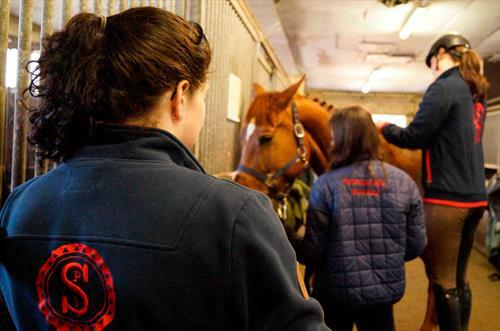 In addition to this, the trainers will impart their invaluable knowledge, the dentist who come on a regular basis (and you will get to know them as they will see to 'your' horses) as well as the vets so in this sense, you learn something new on a daily basis. No two horses are the same, and yet every one of hem have left an hoof mark on my soul. Thank you for all the experiences! I worked here for a short period of time and I have to say the organisation on the yard is fantastic , everything runs like clockwork. The pay is reasonable for the work you are asked to carry out. I enjoyed my time at this yard. In the northeast of Germany Paul Schockemöhle has built up a remarkable empire of the modern horse breeding, which is unique in Europe. 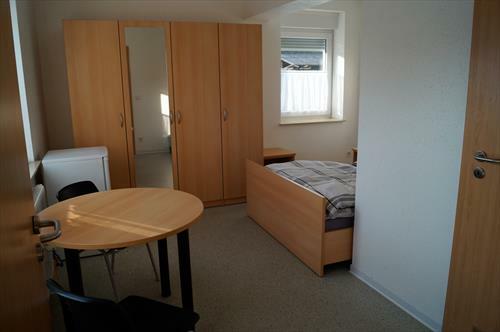 The complex of halls comprehends approx. 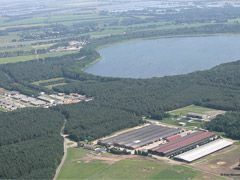 50.000 square meters, the open air arena amounts to 3.000 hectares. 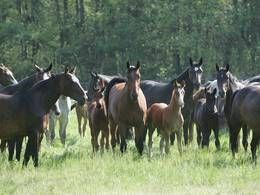 By now 4000 horses are kept at the Stud Lewitz and 650 foals are born each year. Bem-vindo a Lewitz! No nordeste da Alemanha Paul Schockemöhle construiu um notável império na moderna criação de cavalos, único na Europa. O complexo de estrutura coberta compreende aproximadamente 50.000 metros quadrados , a arena ao ar livre equivale a 3.000 hectares. Até agora 4000 cavalos são mantidos no Stud Lewitz e 650 poldros nascem por ano.